Seventy years ago, for people living in Wanstead, like all areas of London, each day must have seemed like a been a daily dance with the possibility of having a bomb landing on your house. Records show detailed times and addresses of where the bombs fell during the traumatic few months from September 1940 until May 1941, when that particular phase of the Blitz stopped. Flying bombs and long-range rockets were to arrive later in the war, but it’s the Blitz and the civil defence which it inspired which captivates such strong emotions. 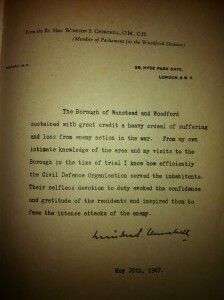 As the table below shows, by this date in October 1940, several streets in Wanstead – part of Churchill’s constituency – had already taken a pounding. But even at this point – six weeks into the bombing – things were only just beginning. 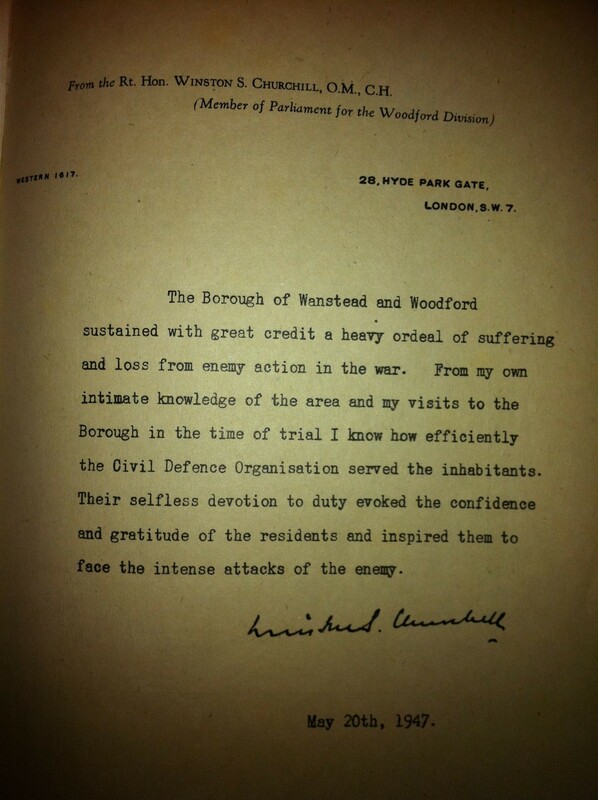 The details for this project have come from It Happened Here – the Story of Civil Defence in Wanstead and Woodford 1939-1945 by Stanley Tiquet. Thanks to the local studies department of Redbridge Libraries for their advice.